It is a broadly described annual report of Heidelberg Cement Bangladesh Limited in the year of 2016. The Company contributes a substantial amount to the National Exchequer by way of duties and taxes. 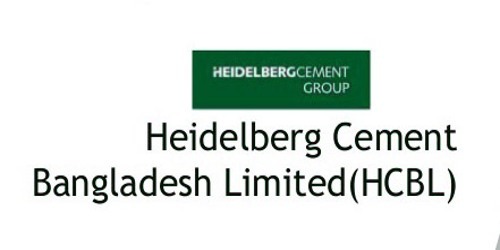 Heidelberg Cement Bangladesh Ltd. contributed to the National Exchequer Tk.3,128 million in 2016. Revenue of the Company was BDT 10,600 million in 2016. The Company’s net profit after tax for the financial year increased by 7.55% to BDT 1,508 Million and Earnings per Share (EPS) came to BDT 26.69. 2016 was another year of pride and recognition. During the year, the company received BDT 107,276 thousand against property damage and business interruption insurance claim resulting from damage to mill motor in Chittagong plant. The company’s dividend policy is to maintain the consistency and to recommend dividend commensurate with the performance of the Company. The Board of Directors recommends cash dividend of Tk.30/- (Taka Thirty only) per share for the year ended 31 December 2016. In 2016, the company paid dividend of BDT 1,672,451 thousand (2015:BDT 2,096,324 thousand) from unpaid dividend. Heidelberg Cement Bangladesh has won the first prize of ‘National Productivity and Quality Excellence Award -2015 under heavy Industry category which was awarded by honorable Minister, Mr. Amir Hossain Amu, Ministry of Industry. Report on Sites Maintenance and Optimization of Grameen Phone.